THE SUBMISSION DEADLINE FOR THE 2015 PHOENIX FILM FESTIVAL HAS ENDED. We will notify all filmmakers in February 2015. The Phoenix Film Festival, fresh off its best year yet, is planning for another big year and we want you to be a part of this great filmmaker event. The PFF has been named one of The 25 Coolest Film Festivals and a Top 50 Worth the Entry Fee by MovieMaker Magazine and has been called the most filmmaker-friendly festival out there. The Phoenix Film Festival annually screens over 150 films, holds amazing parties and provided filmmaking seminars to capacity audiences. Over 23,000 attendees enjoy the 8 day festival. The Festival takes place all in one convenient location and is held on 7 screens at the state of the art Harkins Scottsdale 101. All parties and workshops are held in the Party Pavilion just outside the theatre. Which means everything you need is right on site. "Of all the film festivals I've been to Phoenix was by far the most relaxed and fun, with great enthusiastic audiences and interesting engaging films. I love the Phoenix Film Festival and can't wait to go back." - Matt Rabinowitz, Director of "The Frontier"
people. I very much look forward to returning with all my future films, and will be singing this festival's praises to whomever will listen." - Mark Stolaroff, Producer of "The House that Jack Built"
"Can I coin a phrase to talk about the Phoenix Film Festival? Let's call it the "ultimate fest experience" or maybe "fest quest achieved!" Ok, so maybe I can't coin a phrase that's catchy. But regardless, all indie filmmakers go to festivals with goals in mind whether it's audience feedback or networking. The Phoenix Film Festival exceeded all my expectations and raised the bar for what a festival experience should be. The audiences the PFF attracted were the biggest and best I have seen anywhere. Not to mention they were excited, engaged and intelligent film-goers - the exact people you want at your screenings! I enjoyed a sold-out show for my film 45RPM and received thoughtful feedback and encouragement from viewers and filmmakers alike." - Juli Jackson, Director of "45 RPM"
"I don’t need to tell you that filmmakers often exist in a vacuum as they toil to make their films come to life. The fact that I was invited to screen my film, not once but 3 times, was really great. The Phoenix Film Festival is pure heaven for any filmmaker. I highly recommend it." - Whitney Ransick, Director of "Misfire:The Rise and Fall of the Shooting Gallery"
Thank you to all of the hard-working filmmakers who entered! 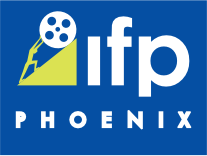 Good luck and we hope to see you at the 2015 Phoenix Film Festival! We are NOW taking submissions for the Arizona Student Film Festival!